Modern anthropology has benefited greatly from recent advances in technology, and as a result has provided new ways of interpreting data recovered by archaeologists decades ago. A prime example is Kuaua Pueblo (A.D. 1300-1600) which was heavily and hurriedly excavated during the 1930s in preparation for the Coronado Cuarto Centenario celebration. A research team has undertaken the task of digitizing artifact collections and archival documents to clarify the early excavations, devise new ways to interpret the site to the public, and ensure accurate physical reconstructions. Two state-of-the-art exhibits have been created to provide a digital 3-D exploration of the pueblo and utilize artifact provenience data. 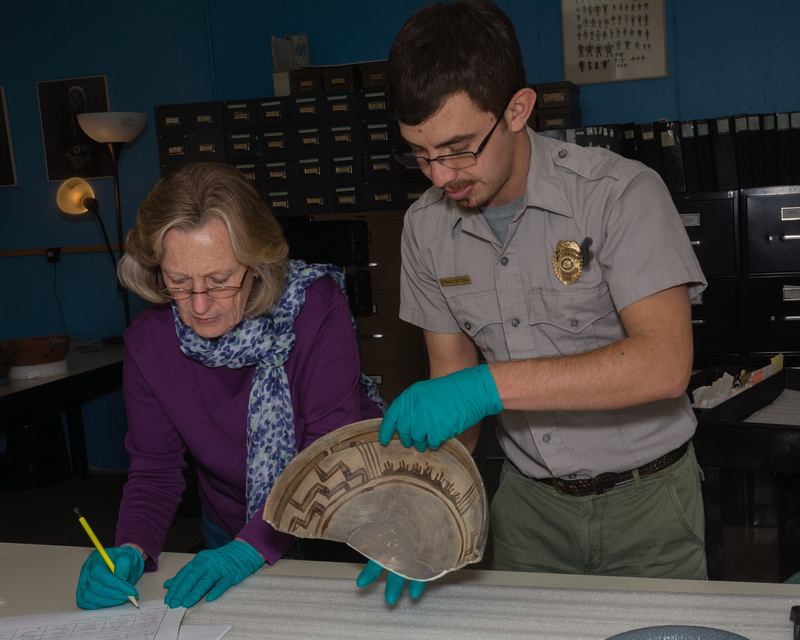 Not only does this project improve the understanding of Kuaua Pueblo, it also puts the archaeological method to the test and provides reflection and insight to improve our methods of documentation for future generations of researchers. General Admission: Adults are $5 and Members are Free. Come Early! Seating is limited! The program is to be held at the DeLavy House (Sandoval County Historical Society) located on Edmund Rd 7 Hwy 550, Bernalillo. Turn between I-Hop & Warrior Fuel Station – follow the gravel road. Tags: Ancestral Pueblo, Anthropology, Archaeology, Artifacts, Center for New Mexico Archaeology, Coronado, Coronado Historic Site, Demonstration, Docents, Ethan Ortega, First Contact, History, Keres, Kuaua, Kuaua Pueblo, Laboratory of Anthropology, Lecture, Maxwell Museum of Anthropology, Museum, Museum Collections, Museum of Indian Arts and Culture, Native American, New Findings, New Mexico, New Research, Public Archaeology, Public Discussion, Pueblo, Pueblo History, Ranger Ethan, Research, Southwest, Spanish Colonial, Study, Talk, The Ancient Village of Kuaua, Tiwa, Volunteers. Bookmark the permalink.